The car involved is described as dark-coloured and is believed to have gone in the direction of Newtown. Cobh, in Co Cork where the incident occurred yesterday evening. GARDAÍ ARE APPEALING for witnesses to a hit-and-run in Cork after a 15-year-old girl was injured. 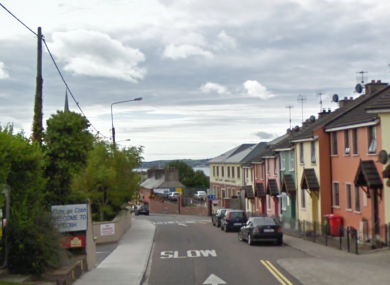 The incident occurred at the top of Laundry Hill in Cobh at 8.40pm yesterday. The teen was taken to Cork University Hospital and treated for non life threatening facial injuries. Anyone with information is asked to contact Cobh garda station on 021 4908530, the Garda Confidential Line 1800 666 111 or any garda station. Email “Appeal for information after teenage girl suffers facial injuries in Cork hit-and-run”. Feedback on “Appeal for information after teenage girl suffers facial injuries in Cork hit-and-run”.